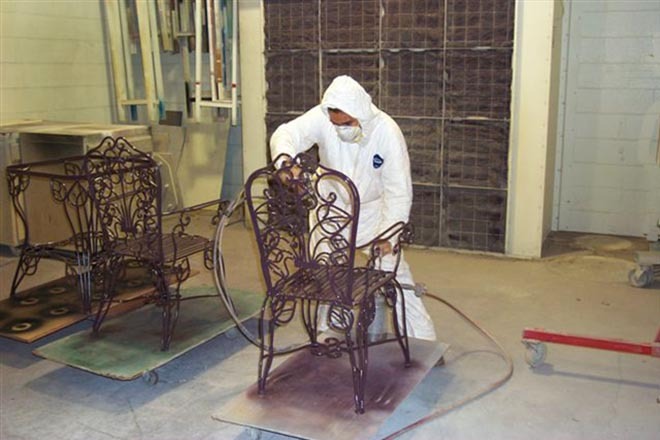 Surfaces Painting and Decorating maintains a large state-of-the-art indoor spray facility that is certified and permitted by the Monterey Bay Unified Air Pollution Control District. It is designed for both large and small projects. 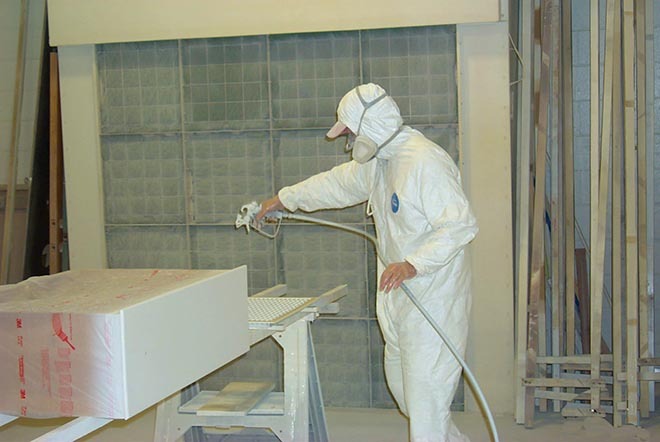 We spray door, windows, cabinets, shutters, furniture, and more. 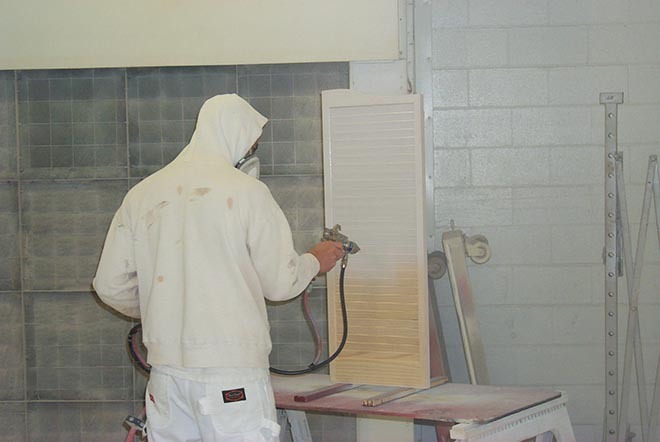 We also prime and paint wood siding and trim before the material is installed. High volume exhaust fans draw the volatile organic compounds and overspray from the room where it is scrubbed by an air filtering system before it's exhausted into the atmosphere. 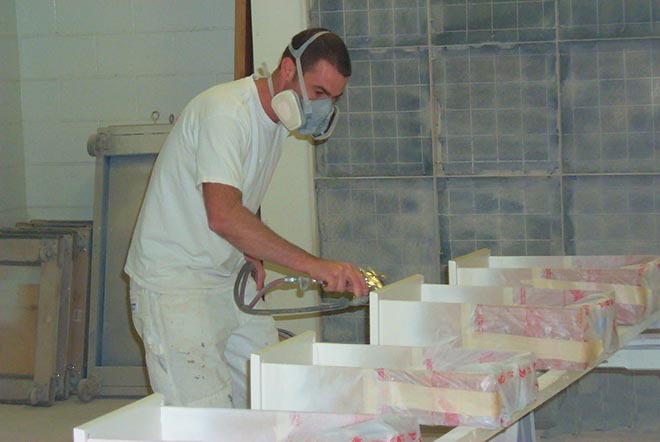 Removing the solid particulates from the overspray keeps them from falling back on the newly painted surfaces thereby creating an extremely smooth finished surface.